Jim Nantz, Grant Hill, and Bill Raftery. 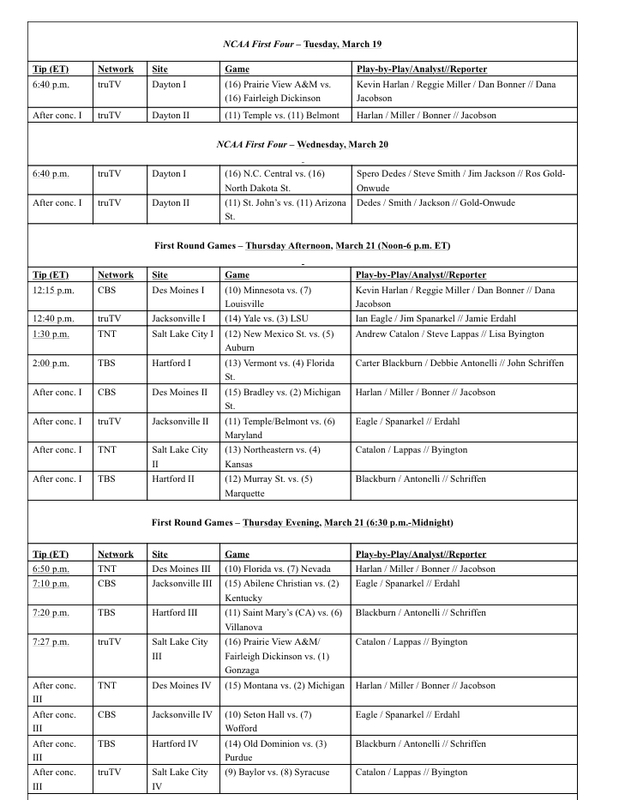 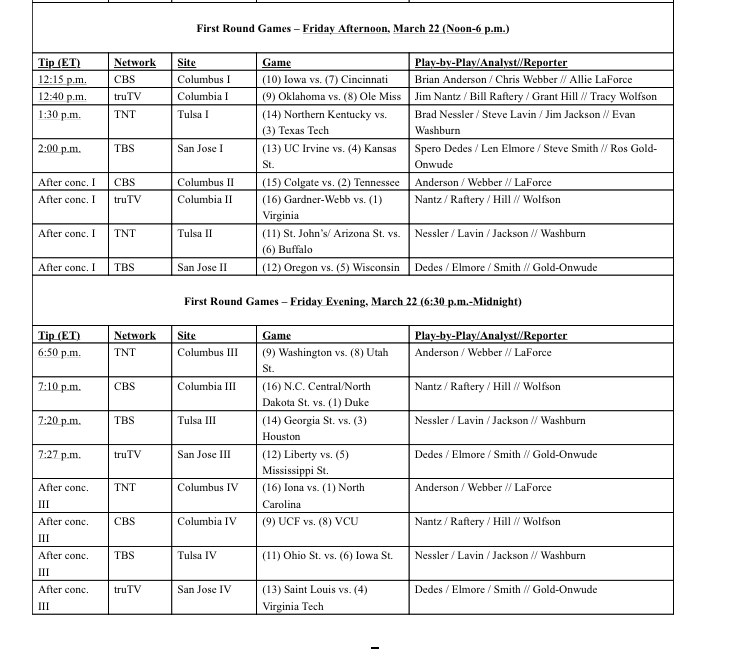 Turner Sports and CBS Sports’ exclusive coverage of the 2019 NCAA Division I Men’s Basketball Championship will tip off with the NCAA First Four on truTV tonight, Tuesday, March 19, and Wednesday, March 20 starting at 6 p.m. 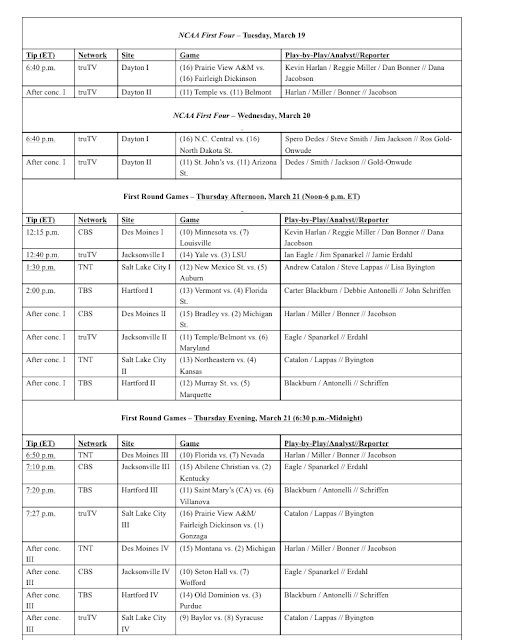 ET both days. 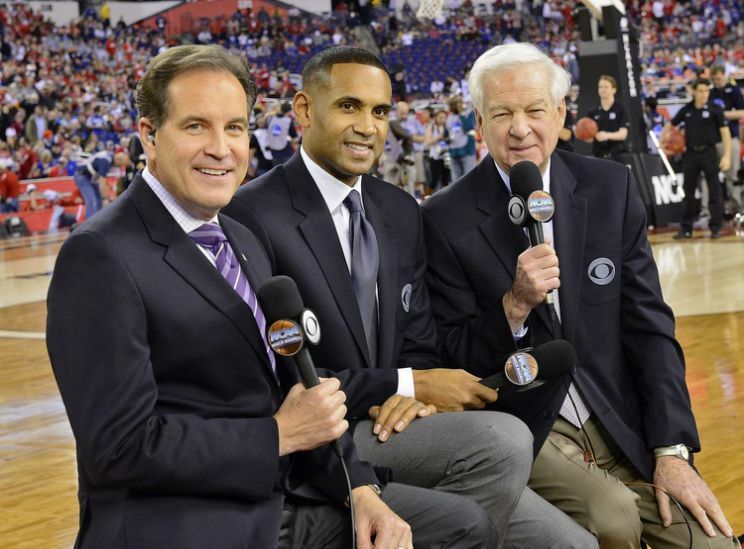 This year’s NCAA Final Four National Semifinals on Saturday, April 6, along with the National Championship on Monday, April 8, will air on CBS, with Jim Nantz, Bill Raftery, and Grant Hill on the call.